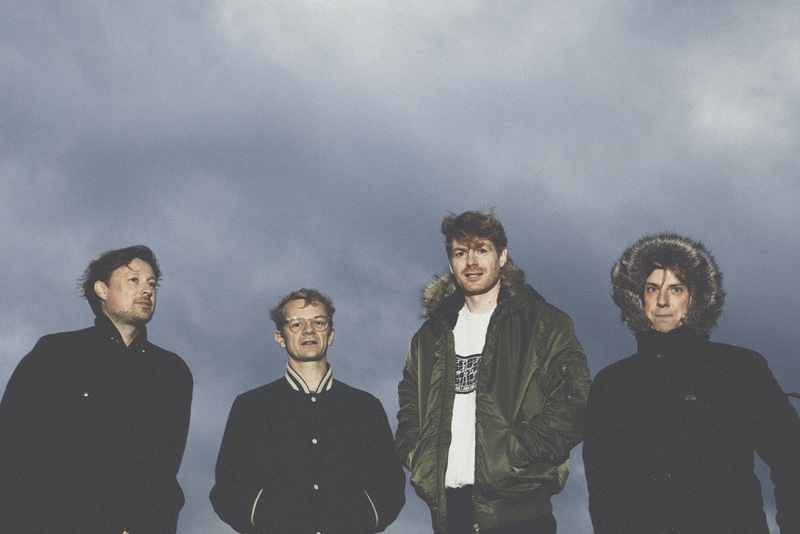 The U.K. band Django Django have gotten a lot of press over the course of the release of their previous 2 records. And now, with the band's third album, Marble Skies, about to drop on Friday, the band is sure to get even more attention. Out on Friday via Ribbon Music, the album is another in a string of supple pop masterpieces from this lot. If the title cut nods in the direction of unexpected inspirations -- like maybe The Zombies and The Moody Blues -- the sharper "In Your Beat" bubbles and percolates like a classic O.M.D. number. Elsewhere, the light-as-air "Champagne" flits past effortlessly, while the sleek "Surface to Air" purrs in a blast of perfect electro-pop. If there's a certain sameness here, at least the music of Django Django feels unforced and natural, the sort of updating of New Wave and post-punk foundations that seems like something a little bit new each time you hear it. On certain numbers here ("Sundials", "Fountains"), the band hit at a kind of breathy electronica that briefly suggests a few years spent listening to records by China Crisis and The Associates. And if the members of Django Django don't have quite the same knack for composing big hooks as Billy Mackenzie did, at least this lot -- David Maclean (producer/drummer), Vincent Neff (vocalist/guitarist), Jimmy Dixon (bass), and Tommy Grace (synths) -- seem to be on a mission to push a certain kind of modern indie into new shapes, for broader audiences. Simple and yet never boring, the music of Django Django keeps a listener enchanted even as it remains a bit airy and ephemeral. Marble Skies is out on Friday via Ribbon Music. More details on Django Django on the band's official website, or the band's official Facebook page.